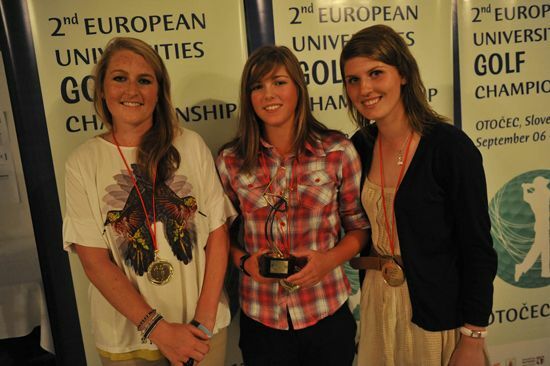 The 2nd European Universities Golf Championship took place between September 6 and 10 in Otočec, Slovenia. The second edition of the event was held at the magnificent Otočec golf course, hosting 13 men’s teams and 4 women’s teams from 12 Universities from 8 countries. 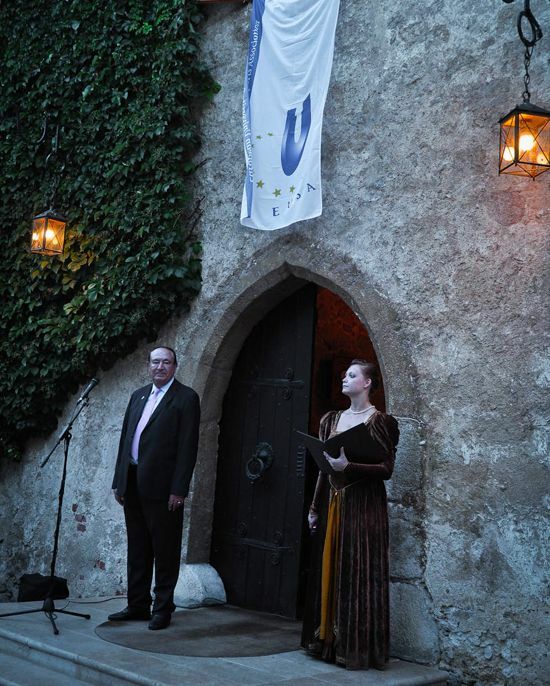 The Opening Ceremony was held on September 7 at the Castle of Otočec, attended by prof. dr. Jose Savoye, EUSA EC member, Mr. Matjaz Pecovnik, EUSA Secretary General, Mr Alojzij Muhic, the Mayor of Novo Mesto, Mr. Leonz Eder, EUSA EC member and the Vice-President of the International University Sports Federation, prof. dr. Otmar Kugovnik, President of the Slovenian University Sports Association and other guests. On behalf of the Organizing Committee, the participants were welcomed by Mr Kugovnik, congratulating the participants to successfully combining sports and studies, and wishing them best of luck. EUSA EC Delegate Mr Savoye also welcomed the participants and wished all the teams and participants who came to test their skills and abilities great competitions. He praised the quality and difficulty of the golf course and he warmly thanked the Organizing Committee for all their hard work and their hospitality. 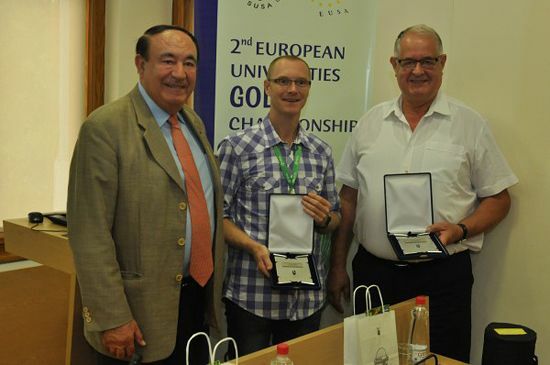 He reminded us that European Universities Championships are a mean to a better knowledge and to create new friendships among European students. 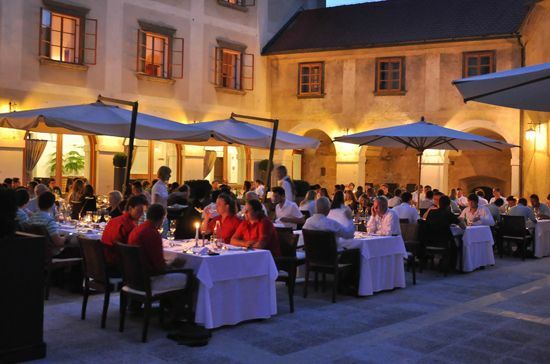 The competition is organized by the Slovenian University Sports Association with contribution of the Municipality of Novo Mesto and the Novo Mesto Student Association, in cooperation with the Slovenian Golf Association and sponsors. The Slovenian University Sports Association is already familiar with the organisation of European Universities Championships after organising Handball championship in 2009 in Ljubljana, Futsal in 2007 in Izola, Beach Volleyball in 2005 in Portoroz, Volleyball in 2003 in Maribor and Basketball championship in Koper in 2002. The championship concluded on Saturday, September 10 with the final day of competition and the closing ceremony with award-giving following shortly afterwards. 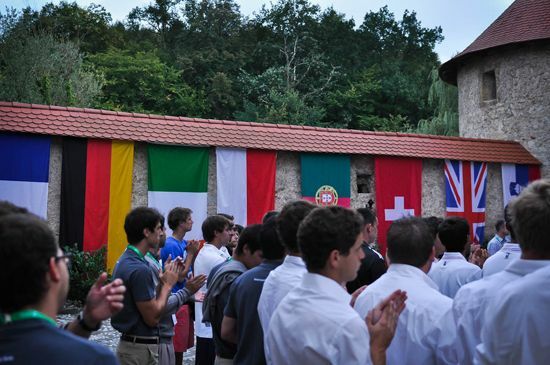 Slovenian University Sports Association (SUSA) which has organised the event together with its partners in Otočec, Slovenia between September 6 and 10, was happy to host 17 teams - 13 men's and 4 women's from 12 different universities, coming from 8 European countries. 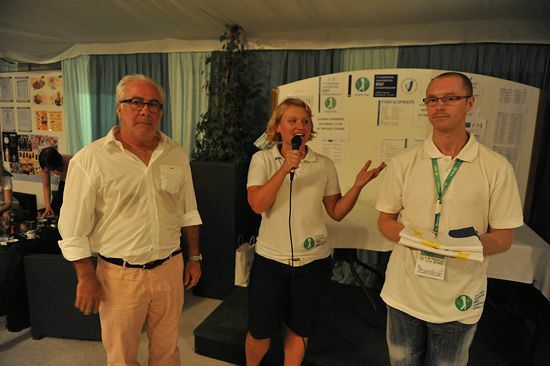 On behalf of the organisers Mr Zvjezdan Mikic, Secretary General of SUSA and Mr Joze Berus, CEO of Terme Krka congratulated all participants, thanked them for attending and awarded the medals and trophies. 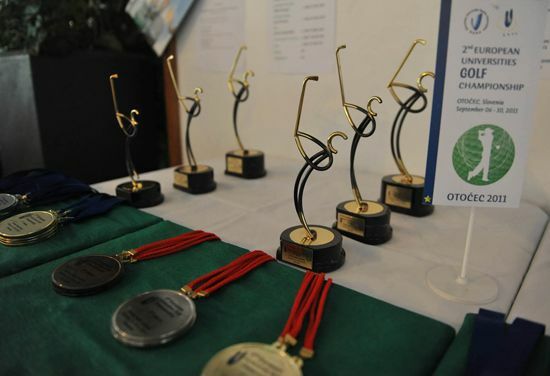 After four days of competition, the best male and female team were announced, and also the best individuals were awarded. The title of the champions in both events was fairly won by the students of the University of Stirling from United Kingdom. Individual gross winners are University of Stirling's students Harriet Beasley in women's event and in men's event Graeme Robertson, who played under par for all four days of the championship. The challenging, yet excellently prepared golf course demanded full attention and a lot of energy from the players, who left home a bit tired but very happy to have participated in such an event. Special thanks was also given to the volunteers, who contributed greatly to the success of the event and made sure the participating teams felt welcome in Otocec. Prior to the conclusion of the event, Mr Jose Savoye, EUSA EC member and representative attended the Reception with the Mayor of Novo mesto Mr Alojzij Muhic, and thanked the mayor and the organisers for hosting the second edition of the golf championship. 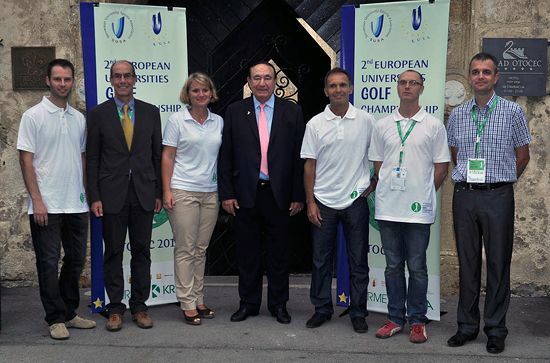 In the very end of the closing ceremony, the EUSA flag was handed over to the representatives of the French team, as the 3rd European Universities Golf Championship will take place in Saint-Saens, France in 2013. 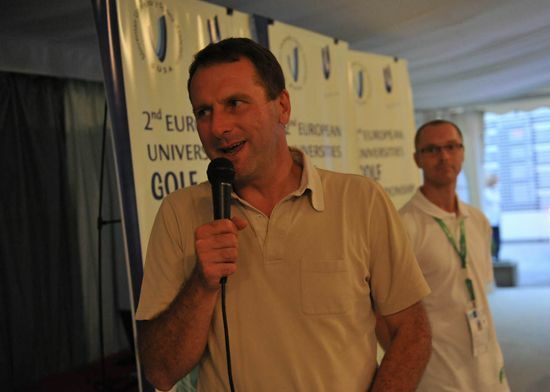 For more information, detailed results and more photos, please visit www.golf2011.eusa.eu and www.facebook.com/eucgolf2011.